Raids carried out by the Ecology and Natural Resources Ministry in the first three months of 2017, have revealed 65 people engaged in illegal hunting. The ministry seized as many as 61 hunting rifles and 147 cartridges from them, as well as 11 birds and four animals killed during the illegal hunting. Raids aiming to curb illegal hunting in Azerbaijan will be further continued, the ministry reports. The Ministry employees drew up administrative protocols and submitted claims to the relevant authorities. A total of 56 people were fined in the amount of 58,136 manats ($34,942) administratively. The Ministry appealed to relevant region police authorities to identify other nine lawbreakers. In April, the Ministry’s employees revealed the fact of illegal catching and keeping in captivity of a brown bear in a recreation center in Agdash region. Similar violations were detected in another recreation center in Khachmaz region, where two East Caucasian turs were kept in captivity, and in a recreation center in Fuzuli region, where the employees found two brown bears and three gazelles. The owners of recreation centers were fined of 500 manats ($300) each, and the animals were transferred to the Center for Recovery and Rehabilitation of Wildlife. Azerbaijan that locates in nine of eleven possible climatic zones enjoys a great diversity of flora and fauna, and is kind of a heaven for hunters. Here, in the different periods of the year, hunters can hunt for Dagestan wild ox, wild pig, hare, wood pigeons, quail, partridge, waterfowl, sandpiper, woodcock, and chamois. 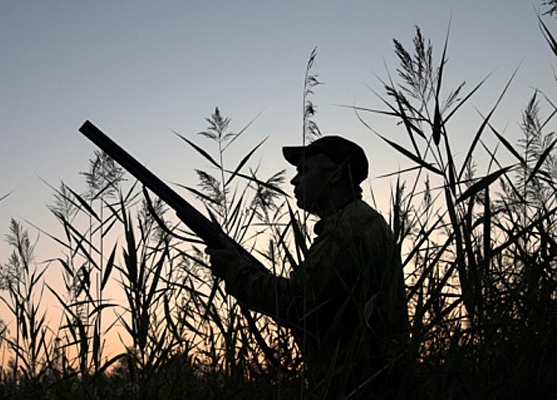 The hunting season in the country opens traditionally in late May-June. However, the country prohibits hunting in some areas of the country as well as the Caspian Sea islands, green zones, protected areas, near the cities and resort areas. In order not to be among the violators, hunting enthusiasts should apply to the Baku Ecology and Natural Resources Department and the Ecology and Natural Resources Departments to acquire a hunting permit. Foreigners can receive a permission to hunt on the territory of Azerbaijan by the decision approved by the Cabinet of Ministers in 2004 and the law “On hunting”.